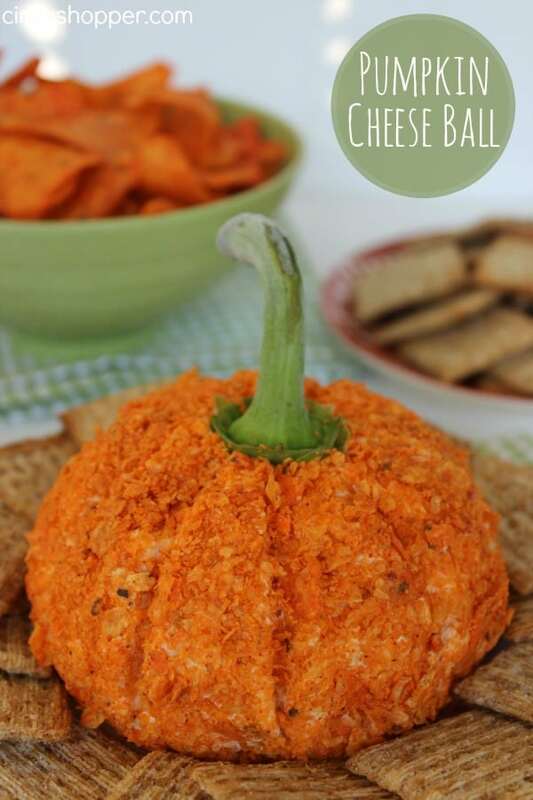 If you are looking for a tasty appetizer for your Halloween or Fall parties this Nacho Pumpkin Cheese Ball will be perfect. Cheese balls are always a hit when we serve them up at our get togethers. 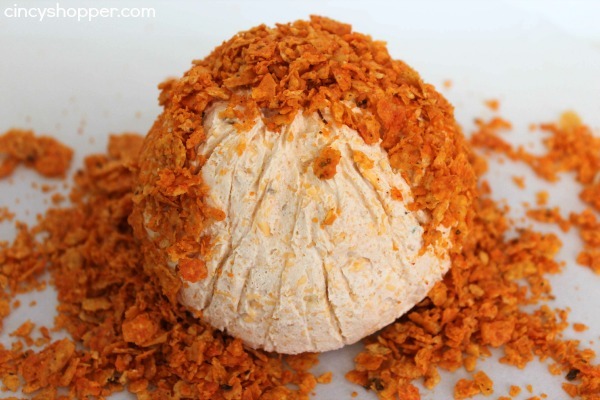 This Nacho Pumpkin Cheese ball is loaded with Dorito flavor on the outside, cheesy cream cheese and a bit of spice on the inside. Completely adorable to serve up. Perfect for an office party this fall. 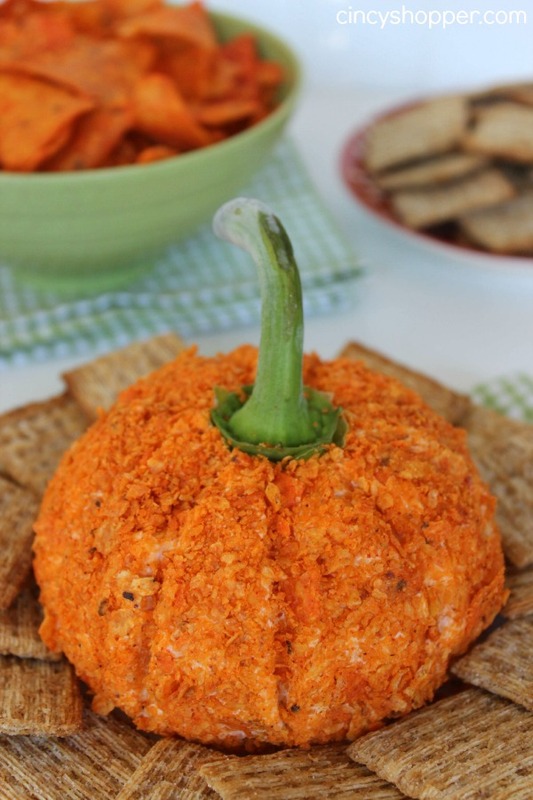 Our Bacon Jalapeno Cheese Ball is always a hit so I knew this Nacho Pumpkin Cheese Ball will be too! 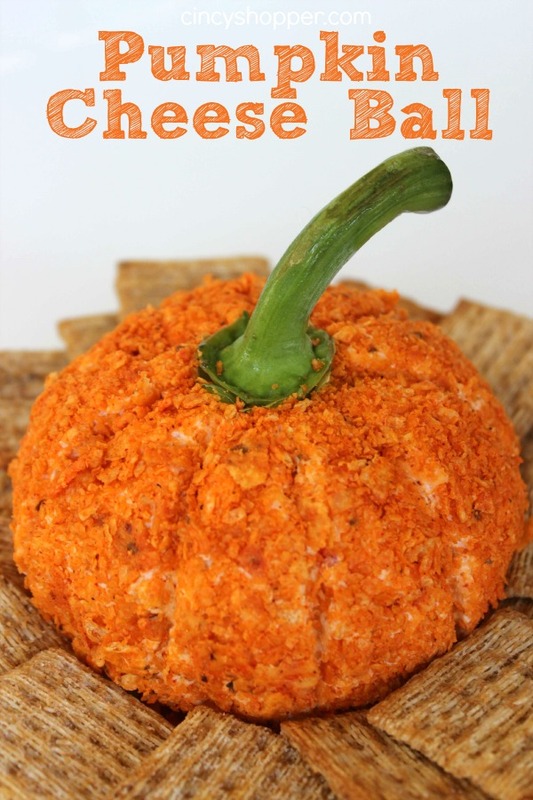 Everyone always loves the cheese ball. We served our Cheese Ball with some Triscuit Crackers I had in the pantry. 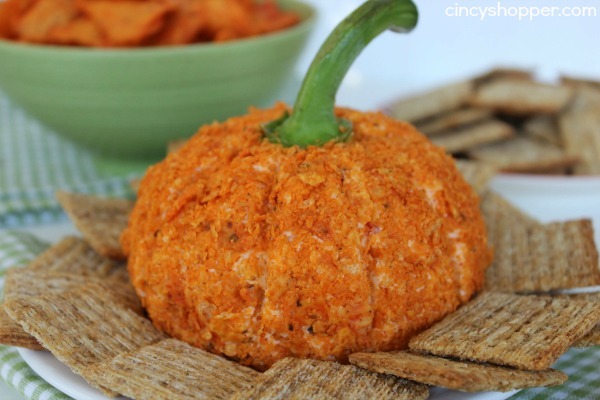 You could serve this cheese ball up with your favorite crackers or veggies. My kiddos and hubby LOVED it. We snacked all weekend long on this one. 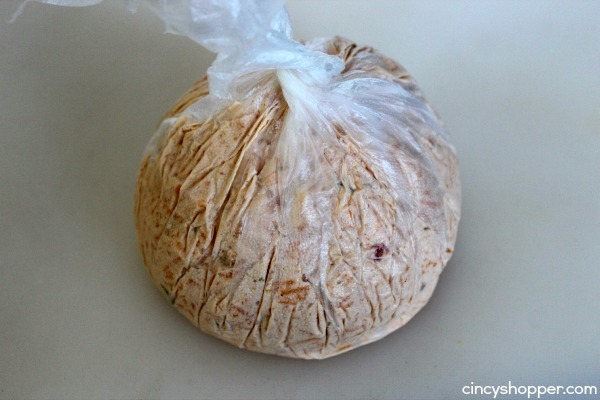 The ingredients needed for this yummy cheese ball are super simple. 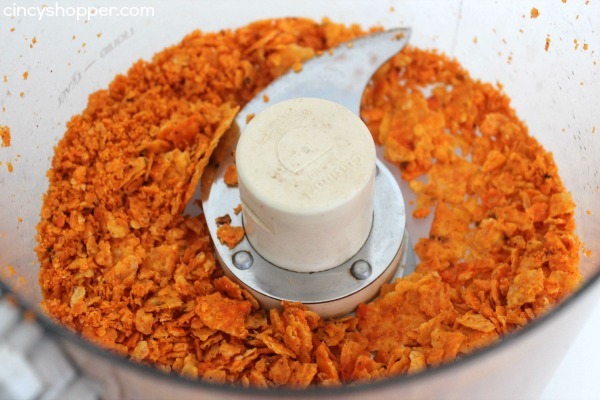 Grab some Cream Cheese, Shredded Cheese, Salsa, a few spices and some Doritos. 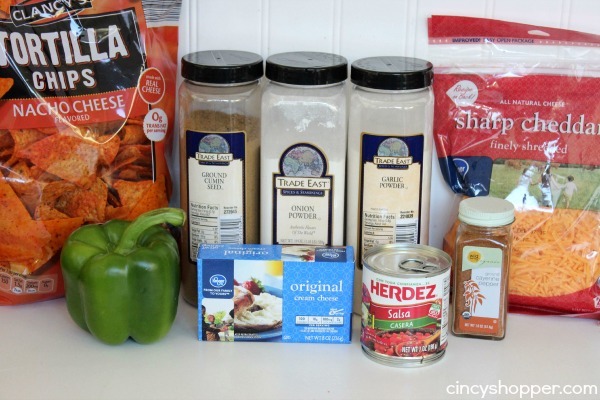 I purchased some inexpensive Nacho Cheese Chips at Aldi (they are my kiddos favorite). For your stem you will need a green pepper to top this cute Cheese Ball. 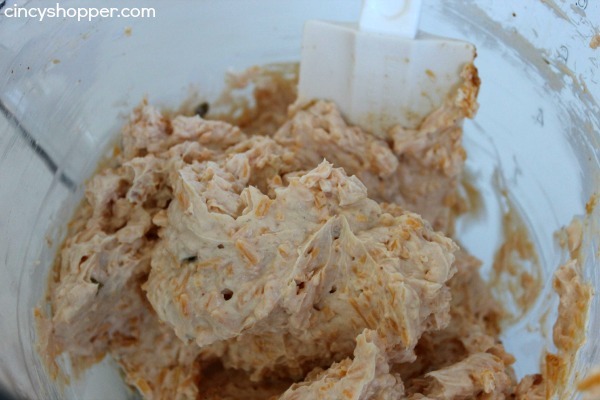 Super simple to whip up you will just need to allow for the time to chill. Mmmm. I love nachos. And cheese. And nacho cheese. I pretty much just love everything about this recipe. Thanks for the great idea. Pinning to make this ASAP! Wow, that looks amazing! So cute and yummy too.